A Learning Management System (LMS) is a software solution designed to deliver online courses. This type of system typically has a way to layout a curriculum and deliver it automatically to students. This includes lessons, quizzes, and many times assignments and areas for comments or forums to share ideas. Pre-internet systems had various levels of true learning management. Some were on standalone systems and delivered courses but had no other management. Some worked on internal computer networks in order to allow shared access like the PLATO system mentioned above. In WordPress, there are two types of Learning Management Systems. Those that are managed by plugins and those that are sold as themes. For most in the development community and Instructional Design community, the WordPress Plugin configuration is recommended. a plugin is used to control the behavior and features of your WordPress site. Any theme you create should not add critical functionality. Doing so means that when a user changes their theme, they lose access to that functionality. For example, say you build a theme with a portfolio feature. Users who build their portfolio with your feature will lose it when they change themes. 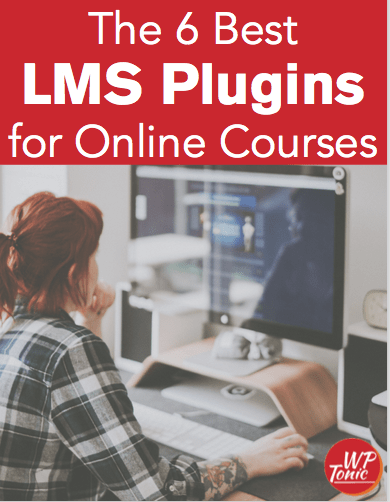 Because an LMS is a somewhat complex system, it should be configured as a plugin not a theme. Of course, whichever plugin you use, will need at theme to go with it. Check to make sure that your theme is compatible with the Learning Management System you choose. Although it isn’t recommended to use a theme that incorporates the multiple features of a LMS, there are several LMS themes available. One of the most popular is WPLMS theme which is available on Theme Forest for only $69.00 and has over 17,000 sales. If you take a look at the feature list, you will see that if you build your program using this theme, you are completely dependent upon it. Changing themes would require you to rebuild your whole online system. Along with a delivery system for online courses, WordPress LMS plugins provide student reporting. The instructor can see how a student is progressing through the class and students can track their own progress. Learning Management Systems allow students to easily track their progress. Many systems provide Gamifacation or connect to Gamifcation plugins like WPAchievements allowing you the ability to grant points and badges for specific achievements. Gamifaction plugins allow you to reward students with points and badges as they progress. Some WordPress LMS options include membership capabilities and others work in conjunction with membership plugins. By using a membership plugin along with your learning management system, you can expand the functionality of your course. You can include private resource pages and other extras to your students. Many times these are used to manage who can access forums and are sometimes configured to manage the sale of the class. Our Favorite WordPress LMS are plugins. In alphabetical order they are LearnDash, LifterLMS, and WP Courseware. LearnDash is one of the most powerful WordPress LMS plugins. Between the actual system and available add-ons, LearnDash has options closest to those available in the more complex systems used in many formal education systems. 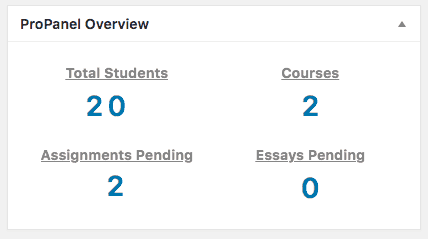 LearnDash also has a premium option for an administrative view of Course Progress and Activity, Assignments uploaded, and the ability to email course participants from the WordPress Dashboard. The LearnDash ProPanel addon includes advanced options and reporting for instructors. Caption: The LearnDash ProPanel option includes advanced options and reporting for instructors. LifterLMS is the newest addition to this part of the WordPress LMS ecosystem. Along with the ability to create and deliver automated online courses, LifterLMS has a membership option built in so no extra plugin is needed for membership functionality. Having membership functionality built into LifterLMS allows you to create a more robust learning platform without requiring additional plugins. LifterLMS has also recently released advanced quiz options and private areas coaches can share private pages with their clients. WP Courseware was the original WordPress LMS and is still one of the easiest to use when it comes to creating courses. One drawback some people see is that WP Courseware requires an outside plugin to manage sales. It only manages the course creation and delivery. For me this has never been a deterrent, because I always combine a membership concept with the LMS because some things are most logically delivered outside of the actual step by step course. For those who do find it a deterrent, have no fear, the next version of WP Courseware will be able to manage payments. Like the others, WP Courseware also allows you to deliver certificates to students who complete a course. If you have questions about Learning Management Systems or WordPress LMS, please enter them in the comments below. For more information on WordPress LMS options, keep an eye on this blog every month as we’ll be covering everything you need to know.